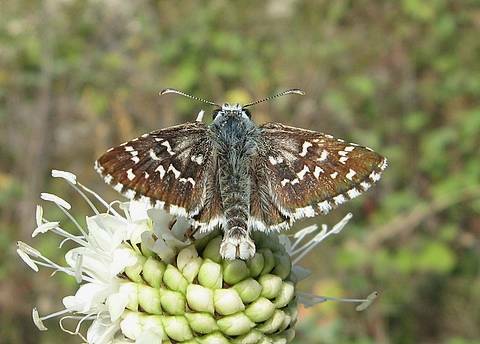 Foulquier's Grizzled Skipper is a rather local species occurring mostly in southern France. 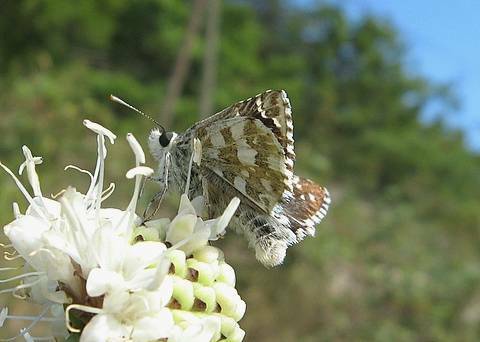 It is a large Pyrgus which flies in July/August. One of the best clues for identifying it is to look for the bushy, white end to the abdomen of the male, like a rabbit's tail!? 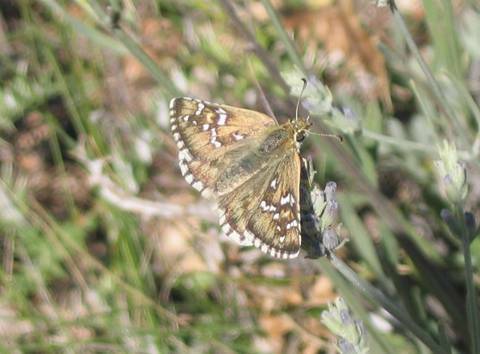 Some of the white marks on his forewings are a little 'paint-splatty' with trailing edges. 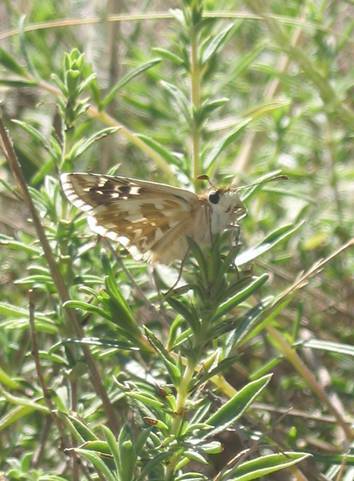 The female is relatively duller and in space 1b of the upper forewing the discal white marks converged into a 'twist' (like those associated with Pyrgus cirsii) may be characteristic for her.